The latest DojoChimp line of Gis arrived and we were excited to put the new cut and fit to the test. 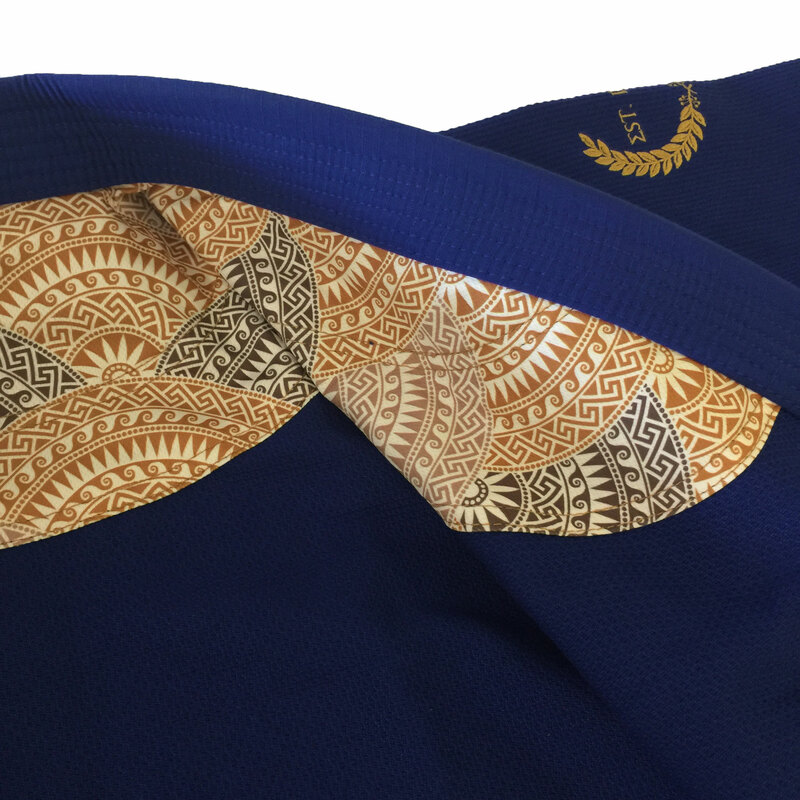 This Olympus edition Gi was designed as a slimmer and more tapered cut. The whole Gi weighs approximately 3 lbs and has reinforcements were it counts. 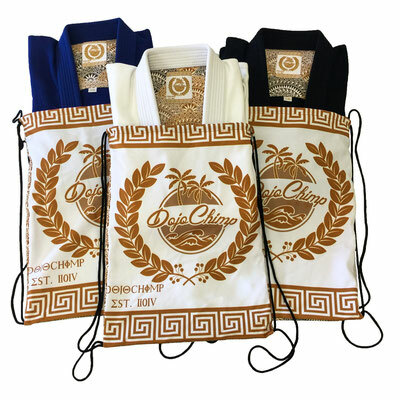 It was just recently that I first heard of DojoChimp a brand out of Northern California that makes some impressively nice quality Jiu-Jitsu gear. You might consider DojoChimp to be almost like a boutique Jiu-Jitsu brand, focused on delivering high-end goods (even though they are not priced at a premium) to its base of loyal fans and customers. Well I'd like to introduce everyone reading this to the brand, and suggest checking out their stuff. When they sent in their new Olympus Gi (which I believe is in fact already sold out at the time of writing this review), I was intrigued enough by the nuanced detail and solid build of this Gi that I decided to call up the owner of the company to pick his brain. 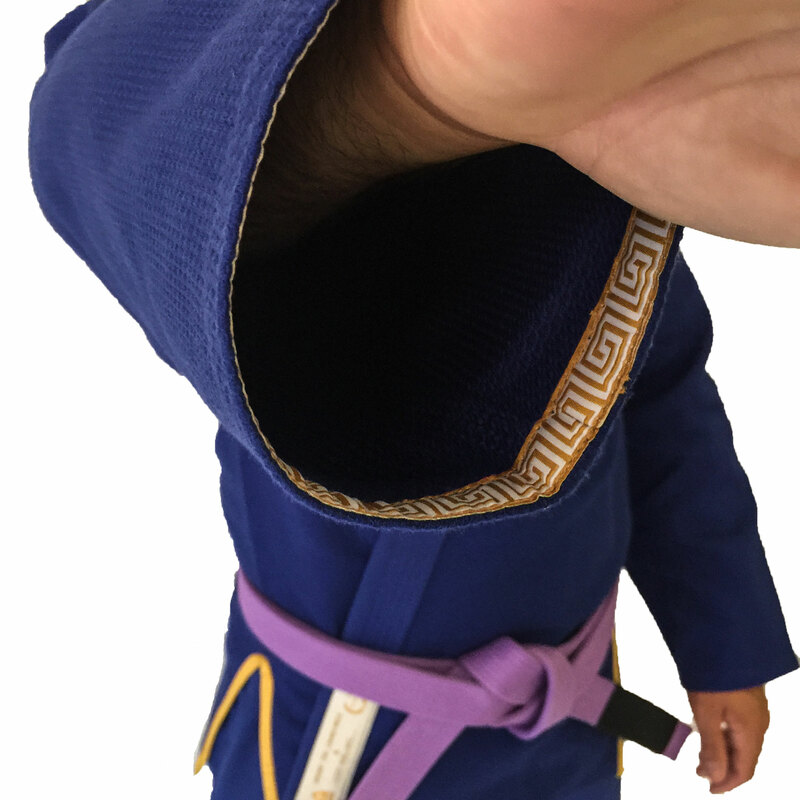 After speaking with Christian, I could very clearly see why this Gi was so well put together... he is a lifetime martial artist that is a product development geek at heart with a ton of experience in the field, who painstakingly considers each and every detail down to a granular level. He is a guy that knows his stuff, and can talk your ear off about the technicalities of Gi production. 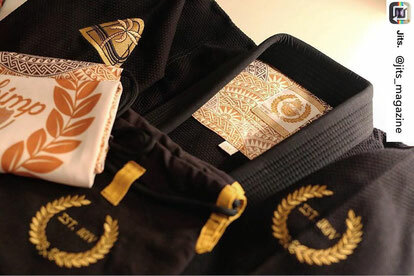 Enough about the man behind the brand... onto the Gi itself: As the marketing for this piece suggests, it's theme takes inspiration from the grappling gods that reside on Mt. Olympus, which made for some pretty cool artwork, especially inside the jacket, and even down to the Greek font used for the sizing tag, showing ΛI, nice touch (even if it IS a lambda and not an alpha hehe). The jacket's 450g pearl weave fabric makes for a lighter Gi, very comfortable and still strong-like-bull. 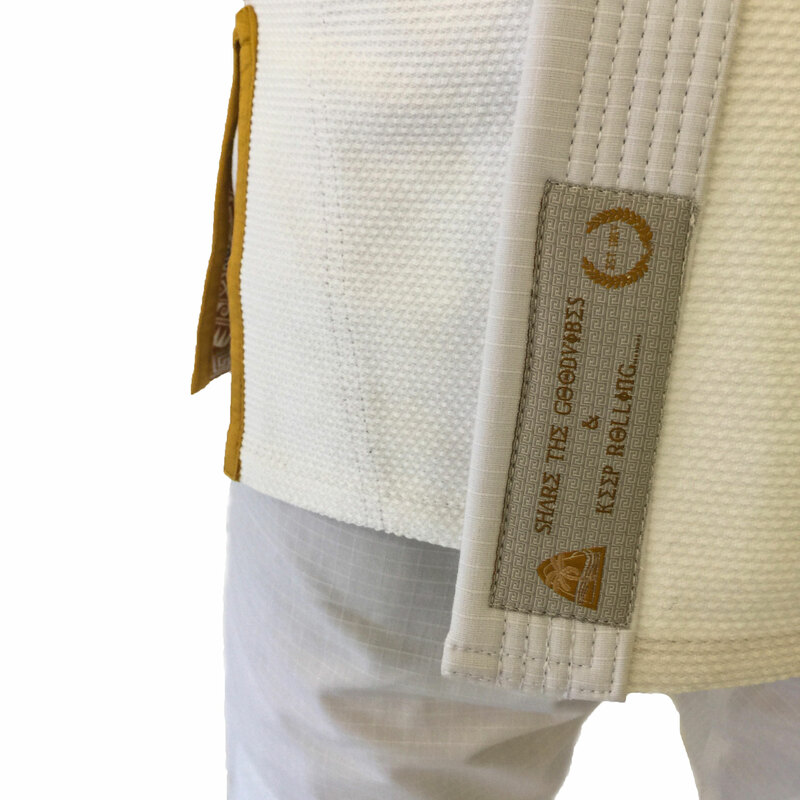 The cut is nice and slim, and makes for a sharp overall look - and let's be honest, we DO care about how we look in a Gi, even if it IS a technical garment. 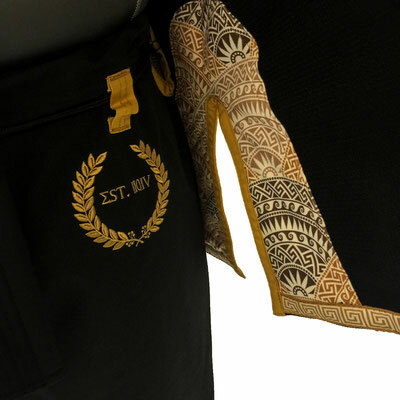 All in all, I've got only good things to say about this Gi, and for $130 and free shipping within the US, it isn't a very big, difficult purchase decision. Nice work DojoChimp! Post by D. Mence Jits. Magazine publisher.